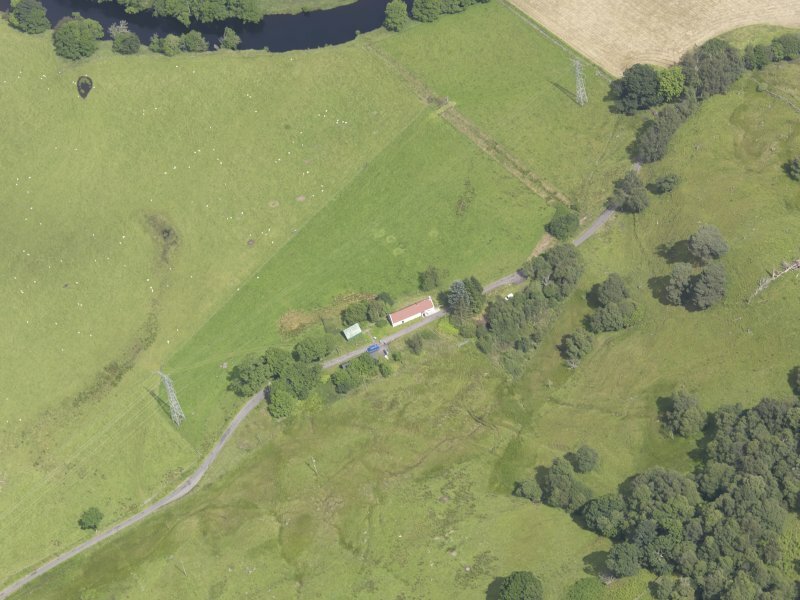 Oblique aerial view of Moirlanich Farmhouse, taken from the W.
Oblique aerial view of Moirlanich Farmhouse, taken from the SSW. 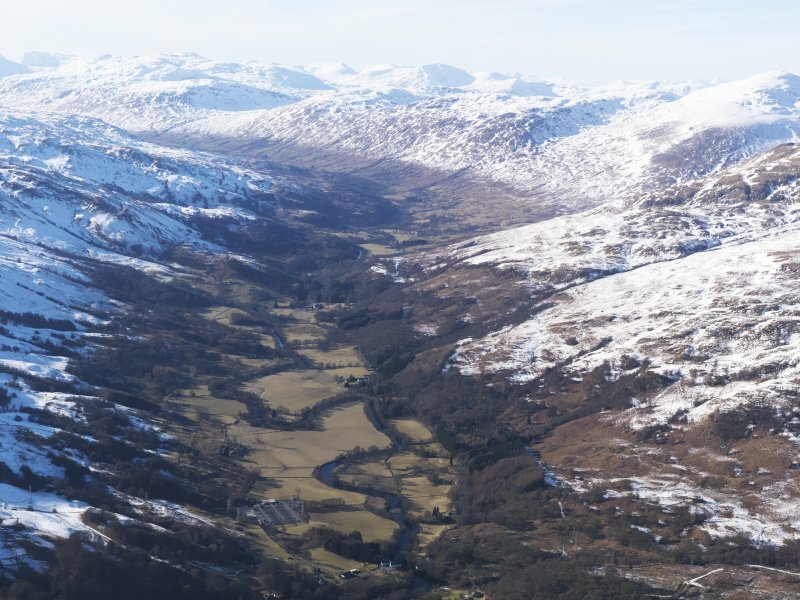 Oblique aerial view of Moirlanich Farmhouse, taken from the N.
General oblique aerial view looking up Glen Lochay with the mountains beyond, looking WNW. 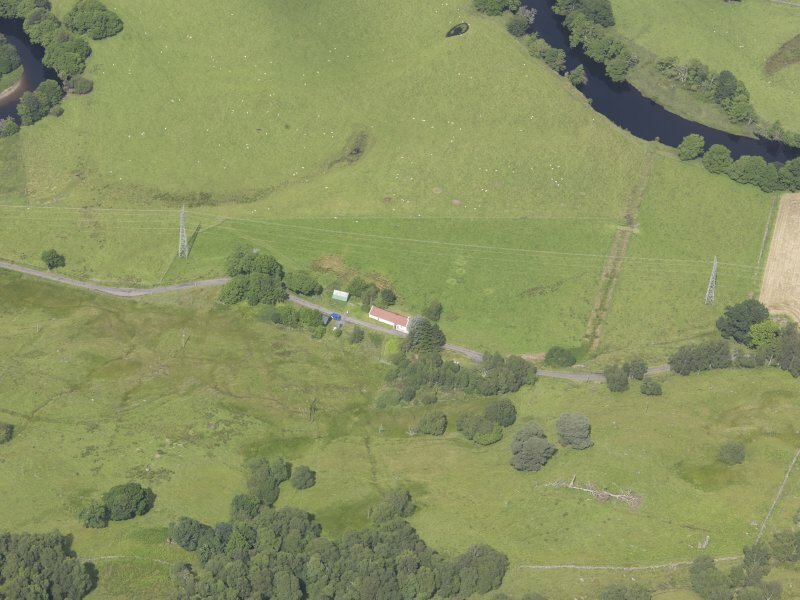 Oblique aerial view of Moirlanich Farmhouse, taken from the SSE. 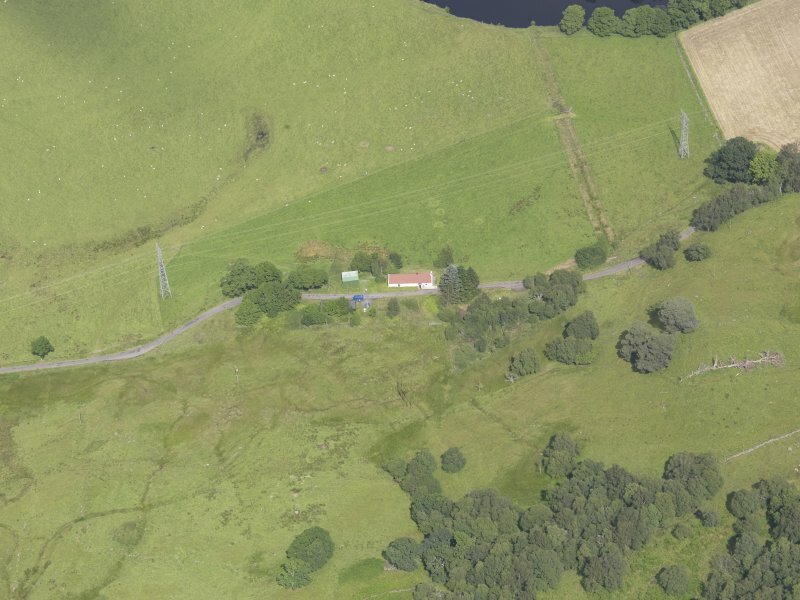 Oblique aerial view of Moirlanich Farmhouse, taken from the SW.
Oblique aerial view of Moirlanich Farmhouse, taken from the NE. (NN 562 341) Abandoned in the 1950's, the fabric of this traditional Scottish longhouse has been recorded in detail. The additional excavation, undertaken by NTS conservation volunteers, consisted of removing and seiving debris from the floors to retrieve finds. The recovered objects give a picture of the building around the time of abandonment. 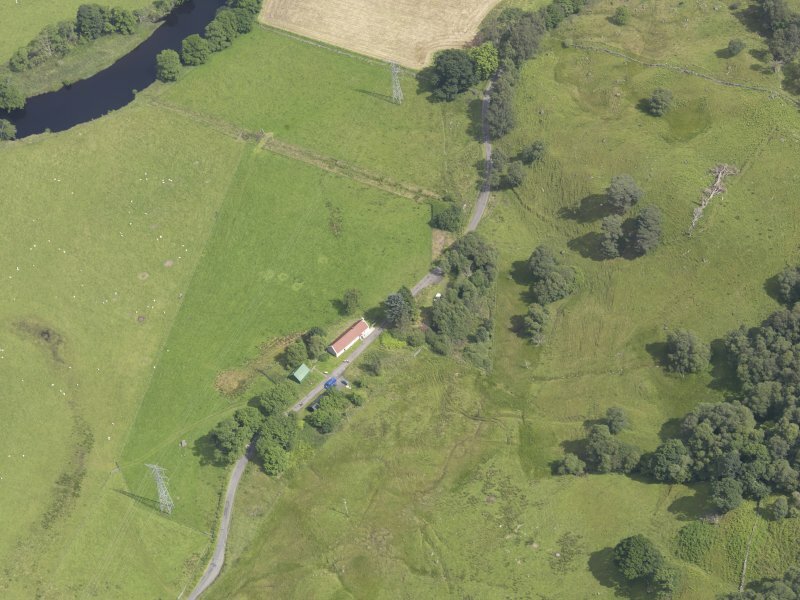 Deposits in the integral byre were thickest, revealing agricultural material and other artefacts up to 100 years old. Trial excavation in advance of a car park in an enclosure belonging to the longhouse produced further finds, probably carried there through manuring. The artefacts recovered will be used as part of the interpretation of the building, which will eventually be open to the public. National Trust for Scotland 1993. NN 5621 3414 A watching brief in November and December 2004 monitored external drainage excavations around this stone-built cruck-framed longhouse from the 19th century (NN53SE 39). Trenches were dug along the bases of the N, E and S walls; the W gable wall was left to avoid disturbing structural remains found in 1996. The only new structural feature encountered was the foundation for an unrecorded stone porch under and extending S from the current concrete-floored porch at the main SE doorway. The foundation had been incorporated into paving for the current porch. 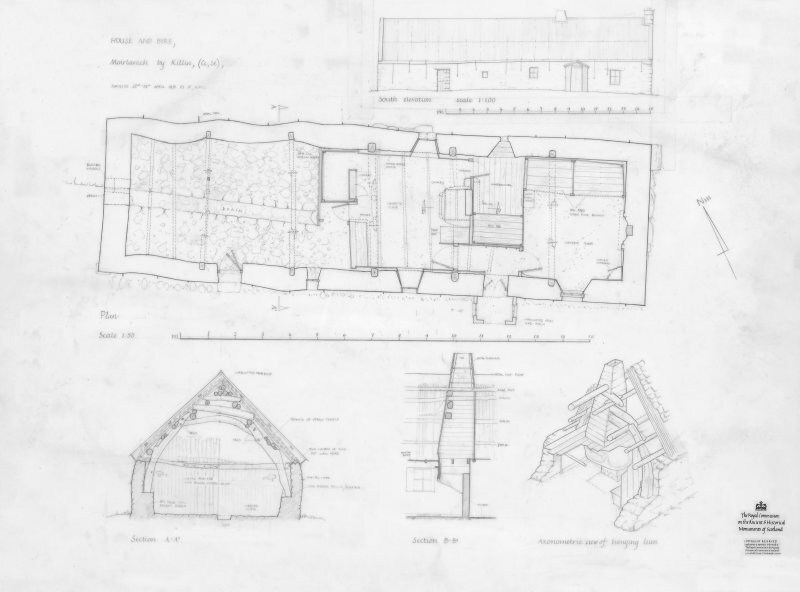 A small area of rough cobbling was revealed outside the SW doorway to the byre, and a small lean-to shed identified from old photos against the E gable wall had left no apparent structural remains or rubble. No evidence was found for any earlier structure on the site, though some of the basal stonework around the midpoints of the N and S long walls is enigmatic. Some micro-lenses of ash and midden were noted around both doorways, representing individual hearth dumpings. Large quantities of domestic rubbish from the 19th and 20th centuries were found in topsoil throughout the excavations, including assorted metal objects (farming implements, roof fittings), bottle glass, and particularly broken crockery. The sump pit, away from the longhouse, showed heavy use of that area as a dump site for rubbish and ash. Report to be lodged with Stirling SMR and the NMRS. A recent phase of renovation work on the farmhouse involved the complete removal of the iron sheets from the roof . Two representative areas of thatch were selected and examined to investigate the methods and materials used. NN 56217 34138 Listed as a late 18th to early 19th century ‘cruck-framed cottage and byre under continuous roofline’, owned by the National Trust for Scotland since 1992. The building retains early thatch, which was raked back in the 1940s and covered with a corrugated iron roof. There is visible evidence externally of both straw and bracken thatch from underneath the wooden soffit that runs along the eaves of the building. 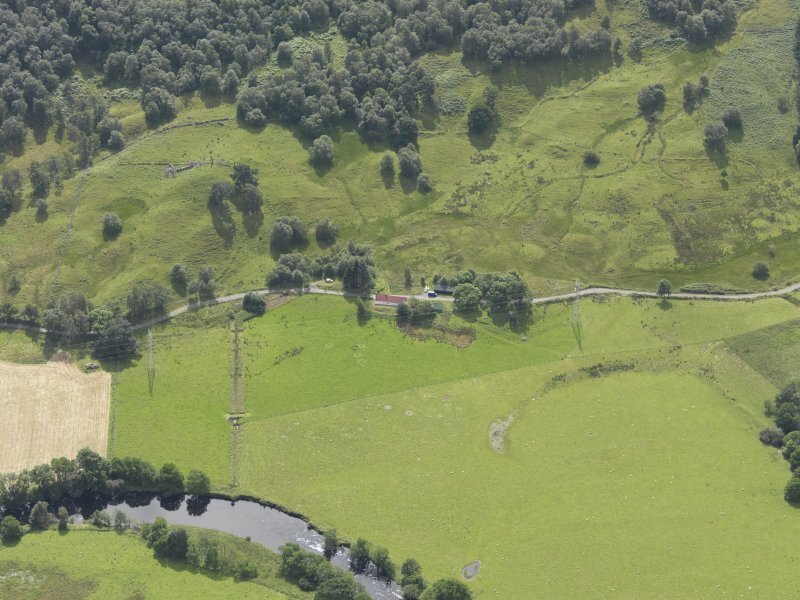 The roof of this building was the subject of an archaeological investigation in 2011, when the corrugated iron roof was temporarily removed (Moirlanich Longhouse, Killin - Assessment of the Thatched Roof for the National Trust for Scotland’, Holden, 2011). 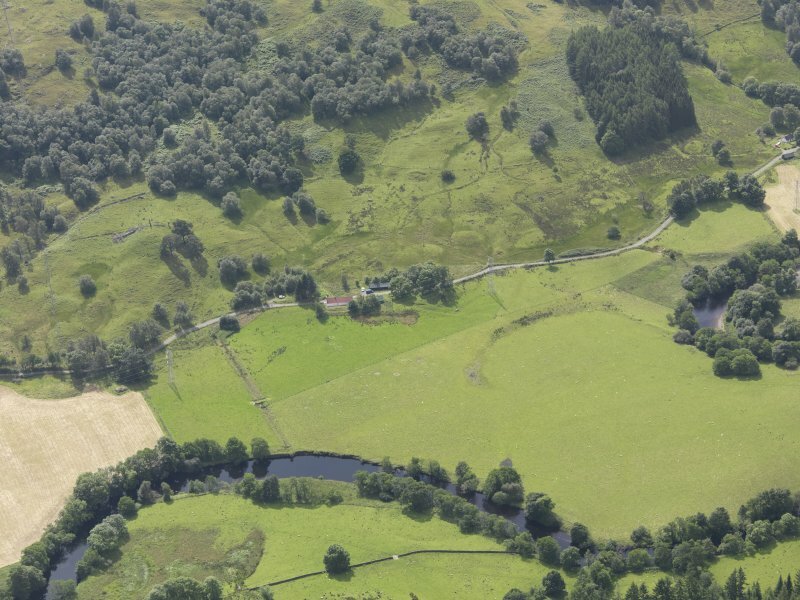 The report reveals areas of bracken, rush, rye straw, wheat straw and cereal straw thatch, which cover a substratum of turf laid vegetation-side down. Turf is also used as a packing material at the skews. 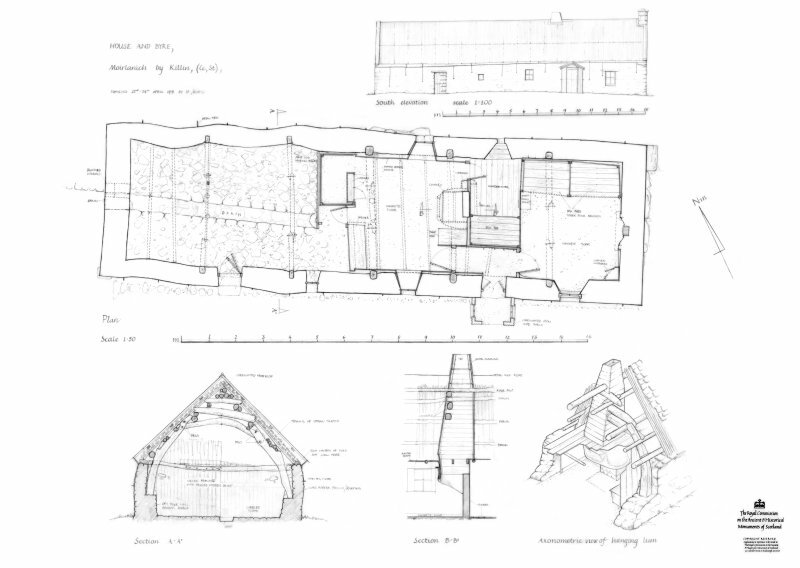 The presence of wooden pegs throughout suggests the thatch was fixed to the roof using a ‘crook and caber’ technique.